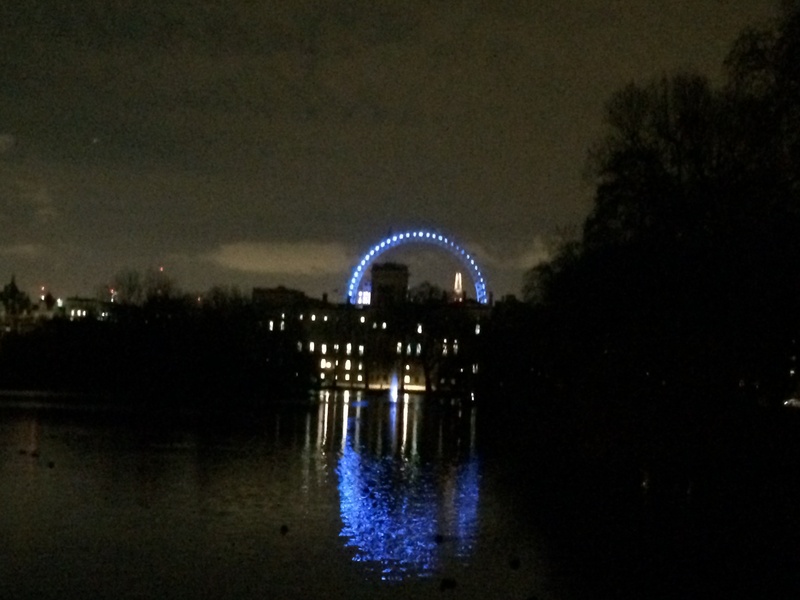 The London Eye from St James’s Park bridge, around 6.30pm Tuesday, 21 January. 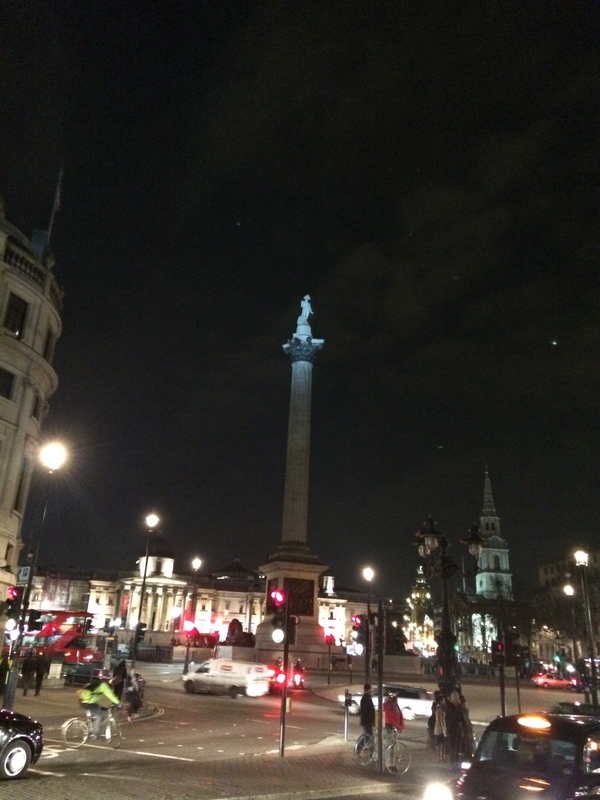 And Trafalgar Square a few minutes after. This entry was posted in Photos - lovelondonscenes and tagged London, London Eye, Photography, photos, St James's Park, Trafalgar Square. Bookmark the permalink. great picture of the eye dood- love the arc in the water. Thanks Dude! Walked from Victoria to the Strand and the Old Bank before our get together on Tuesday. London at night. Love it!